Hello, my name is Catherine and I run a professional bridal hair styling service called ProHair by Catherine. 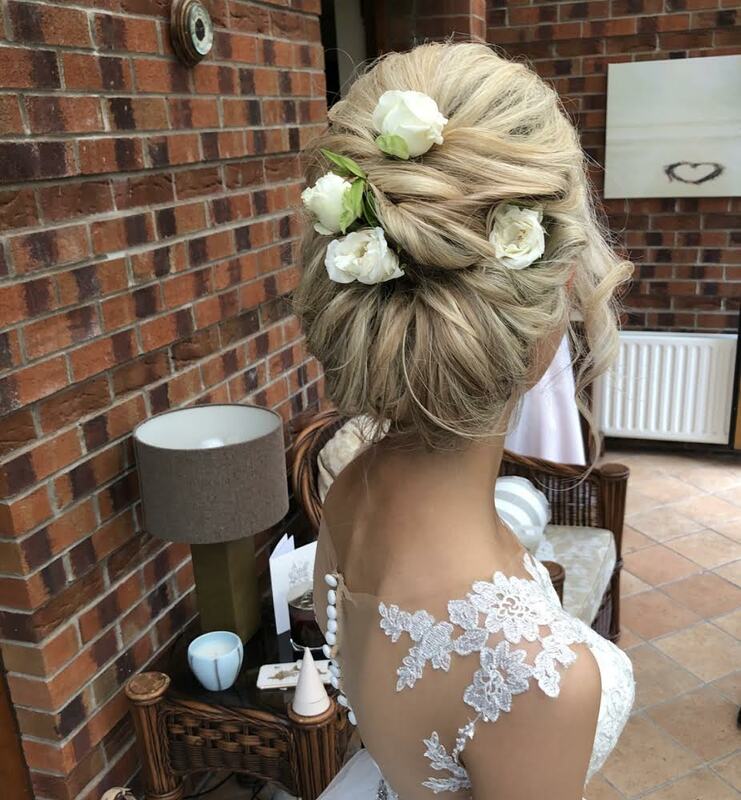 Based just on the outskirts of Belfast in Ballynahinch, Co.Down, I provide a mobile bridal hair service to brides all over Northern Ireland and the Republic of Ireland. With over 12 years experience within the hairdressing industry, there’s nothing I love more than making my brides feel and look their absolute best. 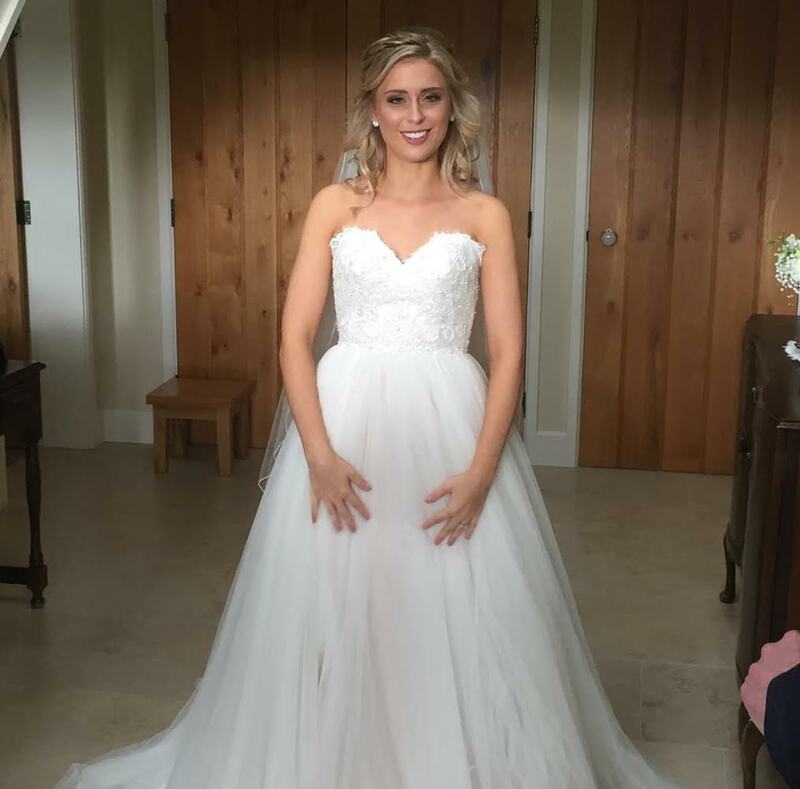 I’ve worked on many weddings alongside the lovely Sinead, and was delighted when she had asked me to share some top tips to all you brides-to-be when it comes to organising your wedding party hair. Much like bridal make-up, your hair on your wedding day is such an essential factor to consider. Along with the perfect dress, the perfect hair will make you feel like a million dollars on your big day, and be something you will look back on for years to come! Making you feel at your best is what we want to achieve and hiring a professional hair stylist is something I strongly recommend when planning your perfect wedding. ‘What dress will I pick? What way will I wear my hair! ?’ These are just a few of the top questions a bride typically considers when planning their wedding. Most of us may have an idea of what way we would like our hair, some of us are unsure- so it’s a good idea to start collecting pictures of styles that appeal to you. Once you have picked that perfect dress, this can become a lot easier – but if you haven’t, it’s a good place to start to keep your options open: Google, Pinterest and wedding magazines are just a few places you can turn to and save to go through when you meet your hairstylist. Picking the right hairstylist on your big day can be a hard job to do. Where do you start? Any experienced, professional hairstylist will have a bridal portfolio for you to view – This will let you see what type of work they can achieve, and read reviews from previous brides. Researching your local area, and the work of these stylists is so vital. Why would you risk using someone that has no experience? How will you know what to expect? 3: Veils and Hair Accessories. There’s so much choice out there for wedding hair accessories and of course veils! Sometimes when you’ve been searching through so much everything becomes a blur! Finding the right one can be tricky but if you have your heart set on something, then this may alter your hairstyle and what you can choose. 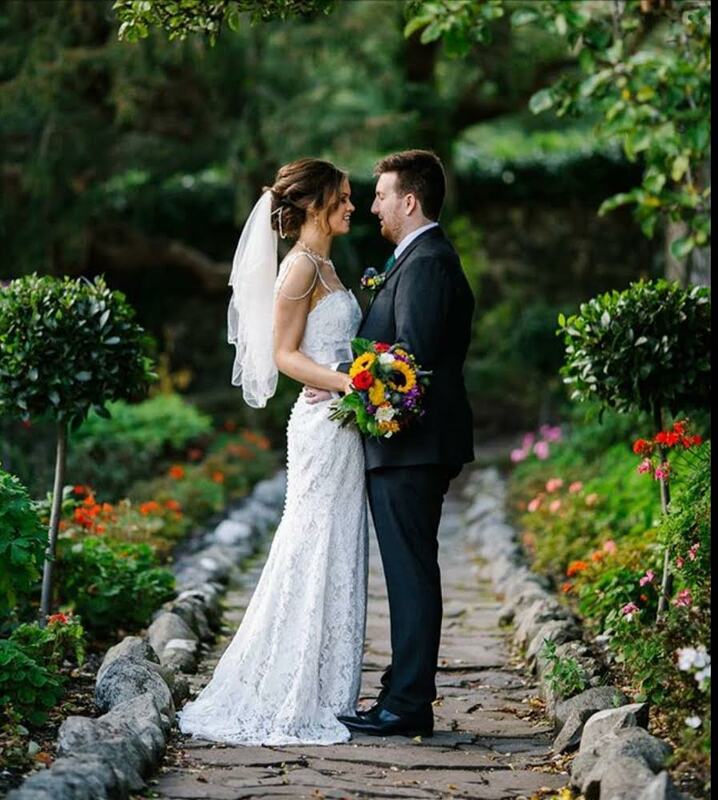 Your stylist will be able to advise you on what suits best for your hair, whether this is an accessory, hair vines or flowers and where to position your veil. You can bring these with you on the trial day, but don’t worry if you can’t decide or haven’t found anything to suit. When you have your hair trial, your stylist will be able to help and advise you what will work best for your hair. A professional hairstylist like myself knows that meeting a bride and having the pre-wedding consultation is so important. This gives the stylist time to get to know your hair, your personality, and what you like. 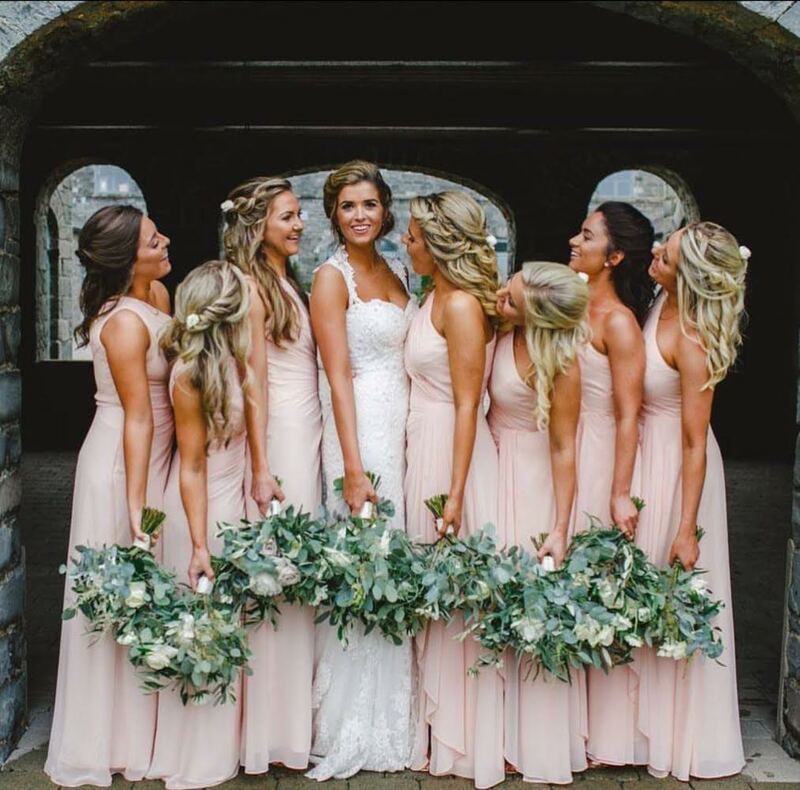 The right stylist should be able to advise on whether the inspiration and ideas you have collected are going to work for you and your bridal party. They will also be able to show you the options that will suit you if you’re unsure and more importantly set realistic hair goals! Let’s face it, not every style may suit or be achievable, factors like hair length, type, and hairline can make or break a style for any of us. However, if you have the right stylist, they will be able to advise you on what works best using professional hair products – and that’s what makes the difference. You wouldn’t buy a dress without trying it on so why would you pick a stylist or a hairstyle without trialling them out? 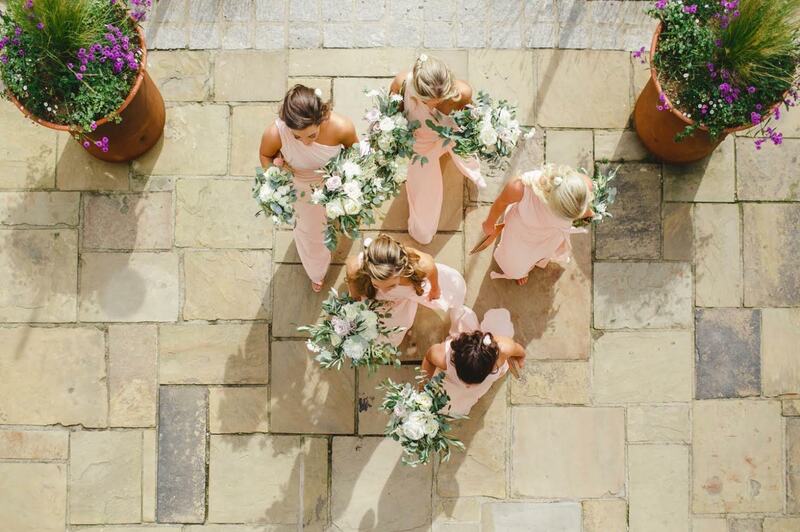 Remember the professional people you choose are going to be with you at some point throughout your big day, so having someone that works for you and makes you feel comfortable is such an important factor to consider. As a mobile stylist, it is often the make-up artist and myself that are in control of the wedding morning and whether you’re going to be on time or not. You will want to make sure you are in good hands with wedding professionals – timing is everything on the big day, and you want to enjoy the morning, not worry! 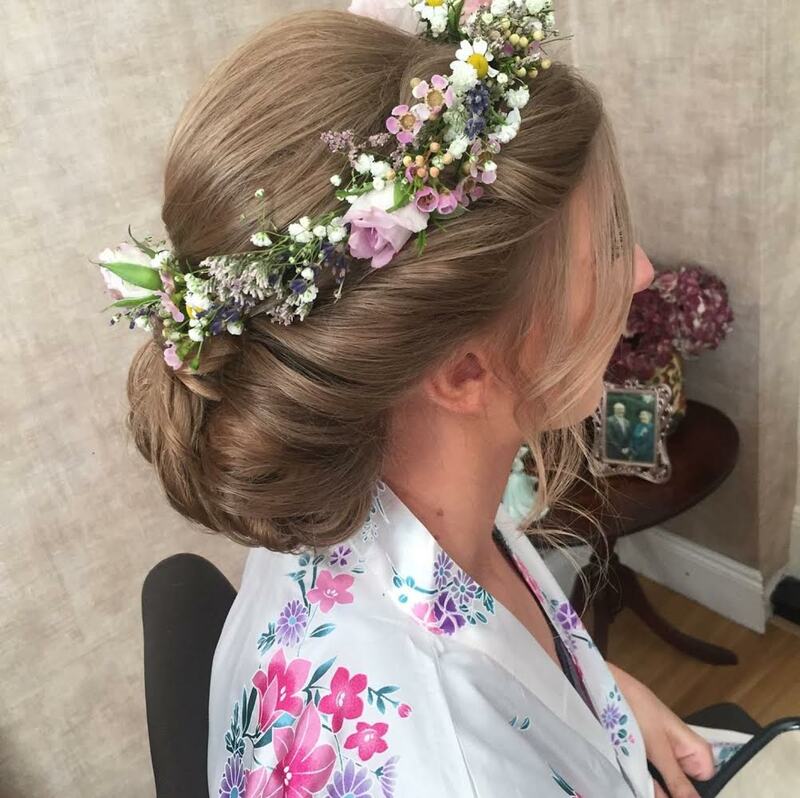 An experienced bridal hairstylist and make-up artist can provide this peace of mind for you and take away the pressure, allowing you to sit back, relax, and enjoy being pampered. I must admit, this is one of the bests parts of my job – not just getting to pamper the bride and bridal party but being able to share in the experience of one of the biggest days of your life! 6: Perfect hair: don’t care! Hair that lasts all day. Like make-up, your hair will be shown in all your wedding photos, and be something you will look back on in years to come. Your photographer will be taking snaps all throughout the day, so you want to make sure your hair stays. Through wind and rain – we can never guess the weather over here. I make it my goal to make sure my bridal hairstyles pass all the tests, particularly the dancing one! It may stay during the day for photos but you do not want to be worrying about your hair halfway through the evening- so if you can, put your hair trial to the test and see how it stays. A professional stylist will know how to handle your hair type, know what professional products to use and will have the experience to make sure your hair looks great in your photos and so it lasts all night! 7: Booking your hair stylist. Remember, wedding season is on its way, but whatever time of year you book your wedding, make sure you leave enough time to arrange a stylist. I have so many brides that contact at the last minute or during peak season that I am unable to help, so leave yourself enough time to inquire about dates, and book a trial. This way, you will be one step closer to finding the right stylist and be able to put your mind at ease and avoid disappointment. I hope these few tips help you when it comes to deciding on your wedding hair and choosing the right stylist. If you’re unsure of anything, a professional stylist will always be able to help, so don’t be afraid to ask. You can find me online at ProHairbyCatherine.co.uk or on Facebook. Most of all enjoy your engagement, enjoy the planning and, and enjoy the pampering! Your big day will arrive before you know it!